datasym.pos (dpos) system software overview. Next generation epos and back office solution. 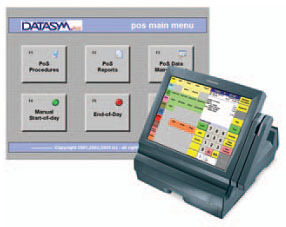 DPOS refers to Datasym.PoS hospitality / retail EPoS terminal software. It is a complete one stop solution for the front office which can seamlessly link through to SQL back office and stock control. This innovative system is fully scalable and is suitable from stand alone, to multiple branches, including international operations. Stockade provides fast and efficient control of the movement of goods within a business. 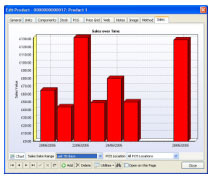 Revenue analysis and stock assessment are produced in real-time by sales sent to the SQL database from DPOS. Stockade provides facilities to control every area of DPOS, including the remote scheduling of any updates, such as price promotions. Many of the DPOS features are incorporated within Stockade to allow customers to maximise their business potential. Product Labelling Including Barcodes if Required. 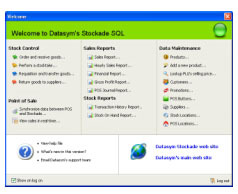 Datasym.POS Back Office provides a reduced feature set from Datasym’s Stockade application allowing a cost effective back office solution for organisations that do not wish to adopt stock control. Menumark builds on Datasym’s Stockade application to provide a large scale hospitality solution for customers such as hospitals, schools and colleges. Full recipe database with diet permissions allow true costings for products produced in-house based on individual ingredient pricing.